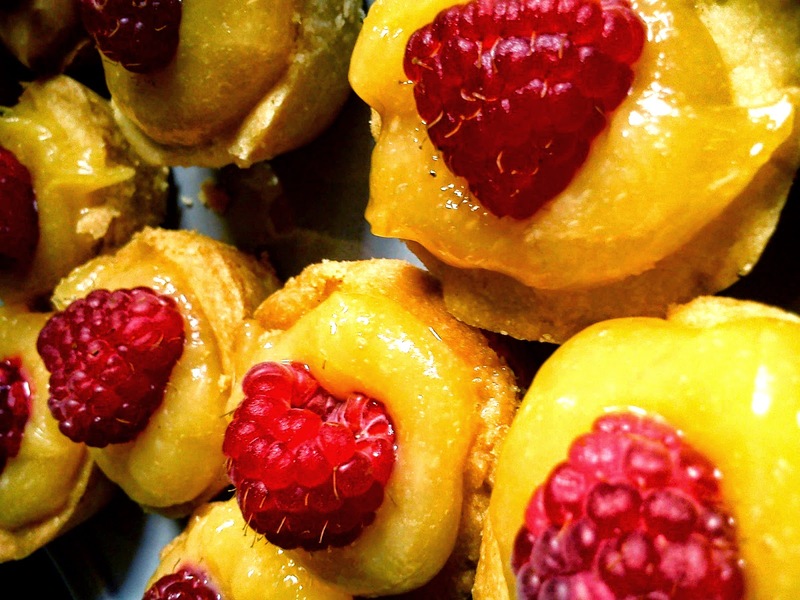 To accompany my feast I also made these Short bread mini cups filled with lemon curd, topped with a fresh raspberry. Alternatively, you could use whipped cream sweetened with icing sugar. If you have a food processor they really are the easiest treats to whip up, you'll have far too much dough but it freezes really well for the next time, I promise. Pop the flour into a processor then add the butter chopped into small pieces. Process until the mixture resembles fine breadcrumbs. Add the remainder of the ingredients and process until the mixture turns to dough. Wrap in cling film and chill for at least 30 minutes. Break off small balls of dough and using your fingers press gently into a mini muffin/tart tin. Bake for about 10-15 minutes or until golden. Remove from the oven and let them cool in the tin for about 5 minutes then with a knife coax our of their shells and place on a wire rack to cool completely. 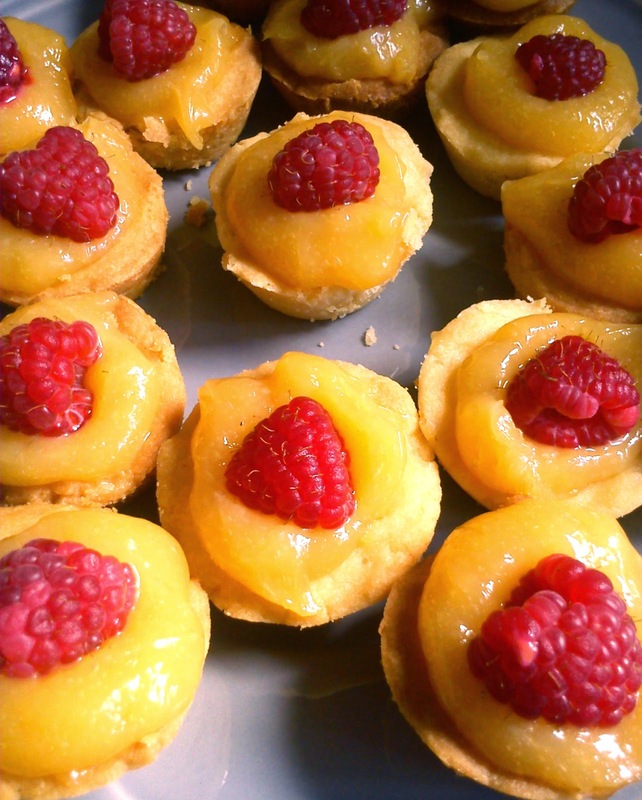 With a teaspoon fill each tart case with lemon curd and top with a raspberry.